6' X 12' plus 2' Vee nose. 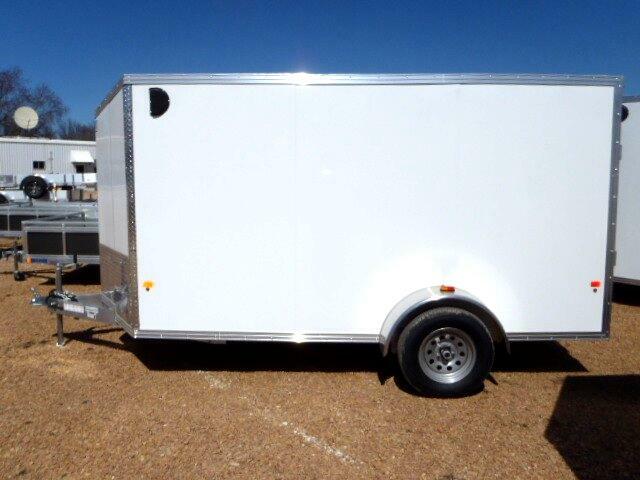 All aluminum construction, seamless sides, 24" rock guard, sloped V nose, advantech flooring and sidewalls, spring assisted rear ramp door and aluminum side door, 15" radial tires, LED lighting, interior dome light with wall switch, aluminum interior roof cove molding, tongue jack, 2990#GVW and 940# empty weight. Message: Thought you might be interested in this 2018 E-Z Hauler Cargo.